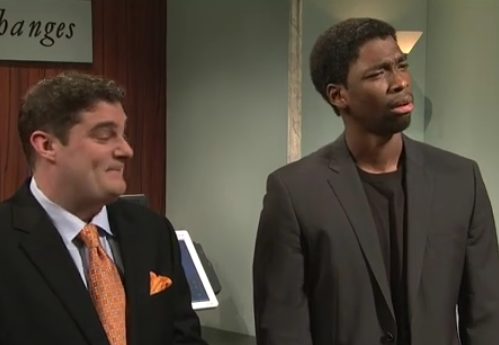 Once again, Jay Pharoah gets to show off one of his uncanny impressions. I’m thankful that so far he’s gotten one sketch a show to show us what he can do. At least Lorne hasn’t buried him for six weeks or made him fight it out Beyond the Thunderdome style just to cut his teeth. But hopefully we’ll get a chance to see if he can be funny beyond the impressions.